Hello, I've been meditating for the past several years (mostly focusing on the breath) and ever since I first began my practice I was told that the self is an illusion and that all forms of ego are just constructs of thoughts, and I've understood this completely in a conceptual way but I've never directly experienced this pure, self-less consciousness by myself. I've tried several times to follow written and pre-recorded instructions on this "pointing out" but so far have failed to glimpse the selflessness of consciousness and was told that this can only be done if I receive instructions from a qualified person directly. However, I'm quite poor and can't afford to go to Nepal or other countries and meet Tibetan Lamas who could give me these instructions and I don't know where else to get these instructions. I humbly request any readers of this post who've experienced the selflessness of consciousness directly and who can experience this state at will, to give me these instructions face-to-face, perhaps through an online video chat service like Skype and I will be immensely grateful for this. If you know any other way I can cut through the illusion of the self directly, kindly let me know as well. 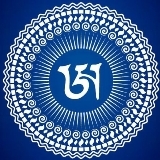 Try the Facebook group Webcasts Buddhist Teachings. It regularly features free livestreams of teachings by respected lamas, including pointing-out instructions by Mahamudra and Dzogchen masters. You are asking sutra level questions(selflessness,illusion,ego, etc...) in a topic with a dzogchen title. If you are interested in dzogchen you need to get dzogchen level teachings. They can be received from a dzogchen master that has complete familiarity with the knowledge of primordial state. You are asking sutra level questions (selflessness,illusion,ego, etc...) in a topic with a dzogchen title. Selflessness, illusion, etc., are core Dzogchen principles. This is not something you can get from a book, as you've found out. Once his health is back to normal, you can check out Namkhai Norbu Rinpoche's webcasts which will be a great place to get exactly what you are wanting. Formally a dzogchen teacher would no introduce these when introducing dzogchen teachings. A dzogchen teacher introduces the student to knowledge of their primordial state through the three types of transmission.Of course, they can introduce the student to the ultimate meaning through any kind of teaching, whether that is sutra, tantra or any other dimension of understanding that the student might be stuck in but this happens in less formal ways. These "core" principles as you call them are important in order to develop prajna in conjunction with stability in the process of training in case one wants to clarify what was introduced. They are not dzogchen per se but they are fundamental in getting a solid understanding of the primordial state. However most of us need to train this way, in a gradual manner, in order to understand what was introduced during transmission. Sounds like you're splitting hairs, Florin. Longchenpa speaks at length on those topics in his commentaries to his own Dzogchen writings so I think we can easily see their relevance in Dzogchen. With a solid foundation in refuge, renunciation and non-harm ethics along with aspiration / action bodhicitta, pray to Guru Rinpoche to meet a suitable teacher. I've heard this is impossible to fail. Personally i make a distinction in between training in order to gain familiarity and certainty in the primordial state and the primordial state itself which is the single thing that is introduced in the context of the three transmissions. There is no splitting hairs here is just offering a necessary distinction in what constitutes the elements of training in order to be able to develop stability, presence and understand with utmost certainty what the real primordial state is. Otherwise at any point in the training you might say " ooo, i am developing understanding of the emptiness of my ego, therefore i am practicing dzogchen." No you are not. Or " i am investigating how the person and phenomena are empty, therefore i am practicing dzogchen" No you are not. Find a good teacher. Here you most probably wont find anyone who can give you that. Try Mingyur Rinpoche, Tsoknyi Rinpoche, Namkhai Norbu Rinpoche, Tenzin Wangyal Rinpoche and many other masters... they can teach dzogchen. Not people on this forum. You do not need to go to Nepal or Tibet. Many lamas travel around the world or have their teachings webcasted. Search a bit and dont worry you will find just be patient. Don't be silly. Of course they would. It is for this reason that Longchenpa wrote a long commentary on just the eight examples of illusion, the sgyu ma'i ngal gso. A dzogchen teacher introduces the student to knowledge of their primordial state through the three types of transmission. The basis (primordial state, aka the nature of the mind) is without self, is not a self, and does not belong to a self. Hence selflessness is a core teaching of Dzogchen. Is the "real" primordial state something other than emptiness free from extremes? If so, is it empty or not empty? If it is empty, is it completely empty, or partially empty? If it is not empty, how is it not a self? 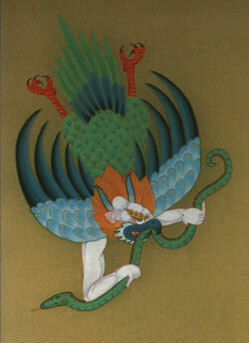 The meaning of Dzogchen is not even slightly different than the meaning of the Prajñāpāramitā. The means may differ; the meaning, however, is the same. TWR LIVE is an innovative way to connect with Tenzin Wangyal Rinpoche, the ancient Tibetan teachings, and fellow students around the world through regular live broadcasts that can be easily viewed on Rinpoche’s Facebook page. All broadcasts are free and open to all—you don’t need a Facebook account to view them. I see a difference between introducing the examples of illusions as the main and final point of the teaching and introducing them as a means or as a pedagogical device with the view to help students rest in the knowledge of primordial state. As i said in my earlier intervention, a dzogchen teacher would use any dimension of understanding ,whether is sutra or tantra with their examples and devices, to introduce disciples to their real nature. So when it comes to means of introducing knowledge of the real state nothing is excluded. I am not going to discuss details about primordial state and what this is.It would mean discussing details of the three transmissions. However, we have different understanding of what primordial state means.I see this as a futile exercise and quite possibly one that would raise the ire of Ekajati. I can't deal with these kind of things anymore.You ask these questions of yourself on the cushion in the process of prajna development to see what's what for yourself.These questions are not for others or for forging a way to a victory in a pointless debate. It is a little strange to give advice, and then refuse to answer questions about what your advice might entail. Copout. Thank you for replying to me Russell! I will definitely try to view these! I would add Garchen Rinpoche to this list. Like ChNN Rinpoche, he regularly gives teachings on Dzogchen via webcast. Sometimes they live stream thru the Ustream channel, and other times it's up to the individual centers to post them to their YouTube channels. Direct introduction can put you into contact with your inner lights. This is a special feature and it makes everything less wordy and speculative. Yogis can But don’t always get involved with a lot of philosophy. One can follow the hints of some teachers that all of that is unnecessary if you can remain in that state which is being introduced and by focusing on guru yoga. I’ve noticed folks like to design their own path. They have an idea of what they like to know and setup their prescription before going to the doctor. In this case, you’ve setup selflessness and trekchod. You want that. But why? How do you know you didn’t just limit your possibilities? The result is an open mind. And you need an open mind for that. The problem is ones mind is like an old dried up piece of leather. It has to be worked into a malleable state. For this reason, one may get some upfront razzle dazzle and miss it entirely. In that case, one will discover ones state accumulating many practices, for most some preliminary methods will have to be addressed.